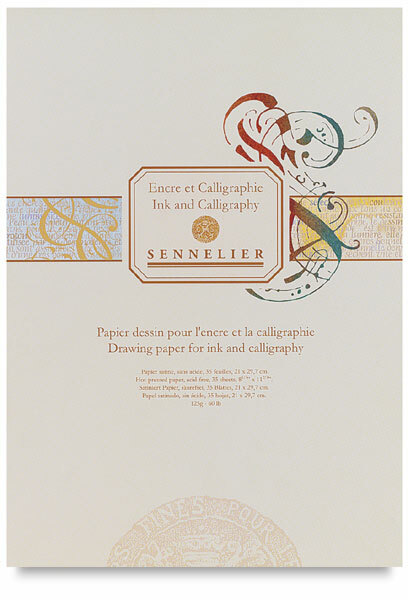 This luxurious paper produces excellent results with all lettering and drawing inks. It is designed for the professional calligrapher. The smooth, hot-press surface is a soft, matte ivory-color vellum, machine-made without flaw.